I found 7 key aspects that are crucial not only for such a life-changing move but for life in general. Do you remember when you grew up and you wanted to become a fire fighter, musician or maybe a professional athlete? A passion you wanted to pursue because you loved doing it. However, once you grew older you were told that this profession wouldn’t get you anywhere because it is just not a career and doesn’t earn you enough money to start a family and buy a house. Thus, you settled for a job you are not passionate about but with a solid paycheck and a promising career track. Soon you realized that this job doesn’t fulfill you, you don’t see the outcome of your work because you are just a small wheel in a big engine. Sometimes you wonder, if your work even matters at all. You are sitting up the hours in the office. 8+ hour wasted per day. You give a third of your day to something you don’t really enjoy and doesn’t fulfill you. That was my experience working as a management consultant for one of the biggest IT companies in the world. I was a small wheel and my only reward for the job seemed to be that I wasn’t fired yet. Finally, I decided to make an end to this rat race and I quit my job to live the life I really wanted. 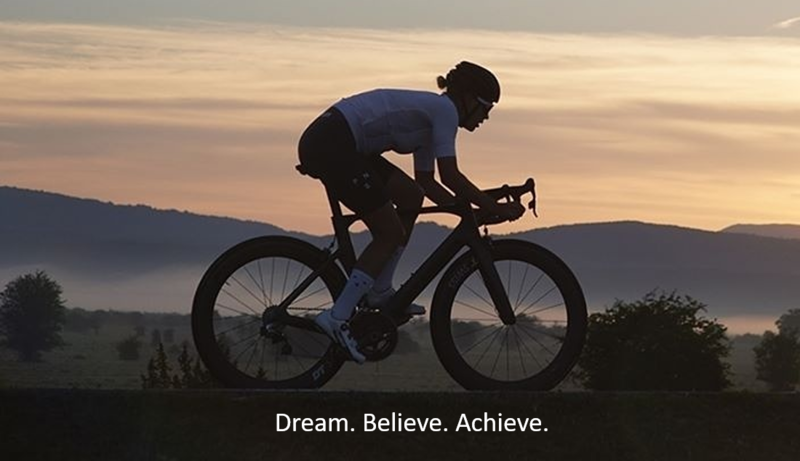 Now 8 months into my journey, I am doing all the things I love doing… epic cycling events, videoshootings, publications in international magazines and solo adventure cycling tours. Every day looks different, I have no idea what happens in two weeks. I don’t have an apartment and live out of my suitcase. I travel and cycle throughout Europe meeting incredible inspiring and like-minded people and coming across opportunities that I never thought would be possible 8 months ago. No words can describe how much richer, fulfilled and happier my life feels right now. I can truly say, I am living my dream! Literally and figuratively. This is a pre-requisite for quitting the job and doing what you want to do. Don’t have debt. Reduce your reoccurring costs. I manage to decrease my monthly costs to my 30 Euro phone bill. I don’t rent a room or apartment currently. Thus, the only costs that incur are what I do right in this moment. It comes with an awesome side effect: it creates a complete sense of freedom not to be owned by a bank or material, it also means that I don’t need to have a high-paying job. Even if you are not looking to pursue your dream job, I would highly encourage to reduce material needs. We don’t need most of our stuff. It is a perception that we require a lot. Sometimes, people only own so much to show it off but that is a different issue. If you don’t need to prove your worth through your belongings, then evaluate what you truly need. I bet, you don’t need most of it. I wanted to pursue my passion so many times in the past. But I failed. I failed because I thought that a partial dedication to pursuing my dream job would suffice. Like working for 4 days and having an extra day to explore my passion. However, the only way how I could make it happen is to go 100%. The reason is two-fold. First, since there was nothing else to focus on I had the complete focus on making my dream happen. It creates a new feeling if you know that there is no excuse to do something else than pursuing your dream. The second and even more important reason why 100% “all-in” is important that you are now free. There is nothing holding you back from trying everything out, succeeding and failing. When I quit my job, I knew my passion but I wasn’t really sure what exactly my job would look like. I needed the time and energy to try everything out without any constraints or drainers. Plus, the opportunities arise when you expose yourself to them. I would never have received any of the opportunities given to me if I had another commitment because I would have not been available to do it. Now, I receive offers to projects and events because people know I am completely free and not tied to a normal job. 3. You must have the passion for it. Without a fire in your soul you will not get anywhere. Just quitting your job to sit lazy at the beach doesn’t get you anywhere. But if you have a vision and you cant stop dreaming about a different life, then you are on the right way. “It’s not the size of the dog in the fight, it’s the size of the fight in the dog.” Every day you want to jump out of your bed and work on your passion. You will have so much fun pursuing your passion that you feel you never work a minute in your life. Confucius was right. 5. Be able to handle failures. The good thing for doing your own thing is that you are responsible for everything you do – your successes as well as your failures. There is no boss or other authority that takes the hits. Everything comes to you directly. I have sent hundreds of emails out and receive many, many rejections. But the few successes I get I celebrate them as it is Christmas, New Years and my birthday combined. It is an incredible feeling to call the successes yours. Sometimes the failures are just rejected emails, sometimes the failures are bigger. But never let them get to you and if they do, it is next key aspect that will get you out of it. A support network is absolutely crucial. It can be one person or a few but your support network should serve multiple purposes and since they are fundamentally different, I would encourage to have at least two different supporters. Have one emotional support person. Someone who loves or likes and appreciates you who you as a person are, no matter your successes or failures. That person doesn’t necessarily need to know in depth what you do but can listen and says the right words when you need it. This person could be your mom, your partner or a close friend from your childhood. Another important person is your “business advisor”, someone who is genuinely interested in your business success. That person can give you advice about your work and your path as well as wisdom but also challenges your thinking in a positive way. Have a few close supporters who are “joining your journey” by listening to your updates and sharing your ideas. These supporters have to be carefully selected because they should be genuinely interested in your success and stay positive. You don’t need people telling you that you cant achieve something; you will have plenty of them telling you that anyway without you asking for their opinion. No; these supporters shall give you energy and strength while also giving you positive criticism and challenge your thought process so you can see your path from different angles. These supporters could be your siblings, your best friend or former colleagues. These are my seven key aspects to successfully quit a job and live the dream. Thus if you have a strong desire to life your dream, then don’t hesitate and go for it!